Although students of several Bharatanatyam schools longed to join the annual dance camp Natya Sangraham, organized by the Narada Gana Sabha Trust, dance festival programmes in several local sabhas prevented them from attending the workshop. However nearly 22 students from different parts of the globe participated in it with the usual enthusiasm. While the music aspect was covered by vidwan T.V. Ramprasadh, his wife Indira Kadambi took care of the technicalities relating to satvika abhinaya and angika. The convener of the workshop, Prof. C.V. Chandrasekar, while overall in charge of the day’s proceedings, focused his attention on workout sessions. These sessions turned out to be vigorous at times and CVC personally corrected the positions of the participants during their work out. Vidwan Ramprasadh sang the kritis for which Indira Kadambi demonstrated the abhinaya. These included Ramanukku mannan mudi tharithaale from Arunachalakavi’s Ramanatakam and Suryamurte of Muthuswami Dikshitar. Ramprasad stressed the importance of the dancer knowing the kriti. “Try to put in extra effort to sing the song, train yourself to sing your composition,” was his fervent plea to the dancers. According to him, it adds an extra dimension to the artist’s performance. She demonstrated abhinaya for the lines Paadhi udalil pennai maraithirupanadi from a Tamil kriti in Todi. Here she drew the attention of the participants to the scope for robust imagination. Indira also demonstrated certain passages to explain angika aspects. The poetry appreciation session by Dr. Sudha Seshayyan was, as usual, a treat for the participants. “Poetry need not be connected to words at all, it is beyond words", she said. She allayed the fears of a few who raised the question, ‘Can poetry appreciation be taught in a session?’ According to her, appreciation comes from interpretation. Sudha dwelt at length on poems from Kannadasan to Kamban, drawing references to situation, mood and the art of communication. The participants demonstrated the lines Thedi choru nidham thinru of Bharatiyar depending upon their understanding of the crux of the poetic narrative and drew applause from the faculty. “Allow the poem to sink in. Ask questions. Be emotional. Have sensory experience. Try to live it!” she advised. V.V. Ramani spoke about the costume revolution. He said that there was no stitched costume in the good old days and how after the advent of films, costume designers were introduced and tailors entered the arena. He emphasized the importance of stage aesthetics. At the same time, he cautioned that once the artiste begins to dance, it pales into insignificance. He advised the participants to do some home work with regard to stage. They should take into account the colour of the costume they wear and the colour of the backdrop on the stage. Dancers should take pay attention to the costume, because the audience comes to watch the dancers perform, not the stage décor, light or tendency to fill up the stage, which is also distracting. Ramani advised the participants not to overdo things. In his aharya session, Ramani requested the services of Balaji Bhattacharyar of the Panduranga temple to demonstrate the wearing of panchakacham properly. There was a brief session on compering for progammes in which well known stage artist and director and Natyarangam committee member P.C. Ramakrishna gave some useful hints and tips. The merriment of the villagers around Tennangur was seen on the days of Dolotsavam and Golden Chariot, when vidwan T.V. Ramprasadh (vocal) and committee member K.S. Subramanian (mridangam) entertained them with music. The evening dance presentations by participants also drew visitors to the auditorium. They sat with eyes glued to the stage and enjoyed the performances. On Republic Day, flag hoisting by Prof. C.V. Chandrasekhar was followed by singing of patriotic songs in which all the members of Tennangur temple management and the staff of the caterers enthusiastically participated. After a brave and prolonged battle, vidushi Suguna Purushothaman succumbed to cancer at Chennai, today. One of the best known disciples of Musiri Subramania Iyer (as well as Semmangudi Srinivasier), she was one of the most loved and sought after guru, besides being an accomplished concert artist and musicologist of a high order. She was known for her happy temperament, great sense of humour and ready wit. She often gave lecture audiences samples of the Musiri way of niraval or swaram singing, with special emphasis on niraval, on how he stressed the importance of getting the lyric right, of choosing the best possible place in the song to do niraval even among a number of appropriate lines, of how vital the meaning of the lyric was to this choice. If her disciples loved her, Suguna adored them in equal measure. She was enormously proud of them, and enjoyed presenting lectures accompanied by her principal student K Gayatri. 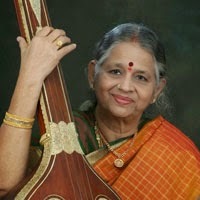 Suguna Purushothaman will be missed by the world of Carnatic music. The void will be hard to fill. We salute her spirit and her devotion to music. 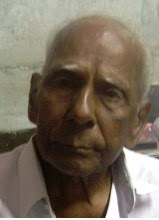 Munuganti Sreeramamurthy of Kakinada passed away on 12 January 2015. Born on 25 March 1925, he was 91 at the time of his demise. Sreeramamurthy established and published the music monthly called 'Ganakala' in June 1962 in Telugu from his hometown Kakinada. He served the field of music for over 65 years by single-handedly bringing out the magazine till he died. The Kalaimamani G. Harishankar Admirers Circle has been has been paying homage to the khanjira maestro every year on 11 February. This year too the Circle observed his Remembrance Day at the Raga Sudha Hall in Chennai. Sangita Kalanidhi M. Chandrasekaran and mridanga vidwan Trichur C. Narendran were the chief guests. 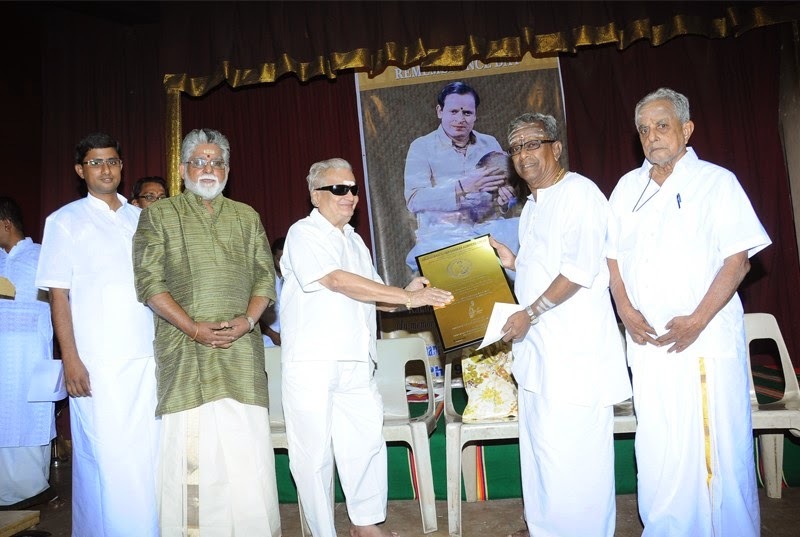 Senior gethuvadyam exponent Avudayarkoil H. Subramanyam was honoured on the occasion with a citation, a cash award of 10,000 rupees and a shawl. This was followed by a violin duet by M Chandrasekaran and G. Bharathi, with accompanists Trichur Narendran (mridangam), B Shree Sundarkumar (khanjira), and H. Subramanyam (gethuvadyam). On page 38 of Sruti issue no.365 of February 2015, we have stated that JA Jayanth is a much sought after flautist in fusion concerts. Jayanth has in fact been a successful solo artist, much in demand during the recent season, for example. He has informed us that he has done only 4 fusion concerts in his career, while he has been very active in the solo concert circuit for some years now. We regret the error, and wish the artist the very best. The Sound Engineer seated in front of the computer was in particular enamoured by Melodyne, the latest version of music creating software. “Look at the magic this software can turn out.” He had picked up a song that a famous singer had just sung and was able to break it into small fragments that were manageable in size. The song was now in the form of wave blocks, each note in a separate colour. More excitement was in store for us. The notes C D E F G A B C were arranged one below the other in a frame, and against each swara stood the appropriate wave block in a neat manner. The Sound Engineer seemed well-versed in the grammar of music and the intricacy involved in the Melodyne software. He was thus able to travel with complete confidence through the many opportunities this software affords. The point with all these manipulations was that in half-an-hour’s time, the same song with the same voice could now be presented in a different tune altogether. The pitch and the beat had changed! But, neither the lyrics nor the voice rendering the song had changed at all. And we were left amazed. In this manner any song can be changed an infinite number of times. The singer’s flaws can easily be set right. He may have not sung the song to your satisfaction or indulged, in all his ignorance, in a misalignment of pitching. Any song can be easily “de-constructed” based on your requirement. What wanted, expected to hear, envisioned, can be yours, rendered so by these manoeuvres. The final product obtained through Melodyne can resonate and leave the listener enthralled. With a computer with the necessary software, you can become a music director! The lilting musical pieces, phrases and rhythm patterns created by someone somewhere are all in your hands now. Pick them up, elongate or shorten them. Better still, make unrecognizable changes here and there. And voila! The music is ready! Feed into the software the beat specifications, where they should begin and end, what notes should come into play, and lo and behold, you have become a singer! In whatever manner the singing is done, it becomes easy to use Autotune, another state-of-the-art software, which will be able to correct the pitching to perfection even as the singing is on. The pitch correction can be nuanced even after the singer completes the song. The recording of sound, the mixing and the editing part were hitherto held to be professions. Now add pitch correction to the list! What we watch day in and day out on our TV screens is all cooked-up music of this kind. Hum what you will, and that will become a song. Singers who belong to this category and who do not have any inkling of the concept of pitching are made to sing and the result is later brought to recording centres, where pitch correction is done. Then the voice is made to synchronise with video and telecast to the listening public. This trick, manipulative music of this trade dates back to 1997 when a company named Antares came out with the automated pitch correction software Auto Tune. And in 2002, the first version of Melodyne was made public by Celemony, a German firm. These came to India between 2005 and 2010. Country singer Alison Moorer attached a tag to a 2002 album that read: “The songs in this album have not used Auto-Tune”. Software and music have come together and made available to us many short cuts to cook up and construct music. You can manipulate voices in umpteen ways. Make the voice sound mechanical, cast a single voice and falsify it to sound as a thousand voices, create harmonies artificially. The pitch can be altered at will. The beats can be made quicker or slower. We can hold the singer’s breath to sing long notes or produce many notes in a single breath. It can all be done by machine-replicated methods. And you can copy/paste anything from anywhere. Gone are the days when a musician must have immense range or depth in his voice. He need not care about his pitching, music knowledge or breath control at all. Catch hold of a person who does not have even the basic understanding of music and get his ‘singing’ recorded. Then run it through Melodyne, Auto Tune or Waves Tune. Maybe it will turn out a chartbuster. Who knows? An enthusiastic and talented vocalist, Murali Parthasarathy is a much sought after musician in the Bharatanatyam field. He is a sensitive musician who understands the need for music and dance to come together for the success of a programme. An asset to his field, Murali Parthasarathy speaks about the influence of his family, gurus and his decision as an MBA graduate to take the ‘road less travelled’. What part did your family play in encouraging you in this field? My whole family supported me in different ways. I must say that without my mother’s encouragement, I might never have taken to music full time. My brother, Madipakkam Suresh, is a mridangist. I started learning at the age of four, along with my cousin, a young girl herself. My mother woke me up at 3 am every day and made me practise. Today, I realize how much that early morning sadhakam has helped me. Parents play a vital role in an artiste’s life. Unfortunately my mother did not live long enough to see me well settled as a musician. I was lucky to have gurus at each stage of my learning. My first teacher was Needamangalam V.V Subramanyam. He used to teach me small songs along with my basic lessons. I started attending Tyagaraja aradhanas along with him. My next guru was Padma Veeraraghavan. My pathantaram was very extensive and I learnt music in a very methodical manner. From 1992 to 1995, I came under the tutelage of Sri Neyveli Santhanagopalan while I was completing my MBA. I learnt many things from him, including how to correctly tune and play the tambura. I studied Music Pedagogy - Teachers Training at the Music Academy in 2000. In 2001, I completed my M.A in music. I learnt Hindustani music as well under Kedar Devidas and Meera Savur. I was eager to learn--be it for performance or academics – and broaden my understanding of music as a whole. How did your entry into the Bharatanatyam field take place? In 1994, I sang for Ranganayaki Jayaraman in a kalyana kutcheri . After that, I went back to my studies and had no touch with the world of Natyam! I took up a job but my heart was in music. With my parents blessing and support, I left my job and decided to become a full time musician. Karaikudi Mani was largely instrumental in my entry into the Bharatanatyam field. He told me that good vocalists were needed for Bharatanatyam and introduced me to Rajeswari Sainath. I sang for her for 4 years. In 2004 Adyar Gopi arranged for me to sing for an arangetram in Germany. Many good things followed. I was lucky to meet Chitra Visveswaran through her student Vijay Madhavan and I began to understand how to sing for Natyam. I also worked with Lavanya Ananth. I have been singing for Malavika Sarukkai since 2005. I worked for Dhanajayan Sir and Shanta Akka as well. That added another dimension to my singing for Bharatanatyam. How different is singing for dance from being a mainstream vocalist? The technique is the same for both unlike the case of mridangam playing, where it is quite different. The only difference in singing is in how we use Carnatic music to support the dancer. This happens in the raga bhavam, voice modulation, attention to sahityam and choosing appropriate sangatis. How do you prepare for a rehearsal or performance? I learn the given song from the cassette or CD if the composer is not available. Then I ask the dancer what sangatis he or she would like me to use to suit her composition. Some schools prefer particular sangatis they are used to and which are traditionally sung in their bani. For that, I do a bit of homework, notate my songs and prepare before my rehearsal. I have to keep my mind open and try to help the dancer with her visualization. I feel that by singing for natyam, the stamina in my voice has increased and I bring more bhavam to my music. Having learnt Hindustani also helped me in singing for dance productions which sometimes require a mixture of genres. Were you exposed much to Bharatanatyam before you started singing? I learnt Bharatanatyam for a year! After singing in this field for many years now, I am more familiar with it now. Looking back today, how do you feel about your choice of specialisation? I am very happy to be in the Bharatanatyam field. I find it satisfying as a musician. I could have established myself as a concert singer but when I got the opportunity to sing for Bharatanatyam, I made a conscious decision to stay in this field as the work was to my liking. I feel that whichever field we choose to be in, we have to give it a hundred per cent. I know how much work a Bharatanatyam artiste puts in to create his or her art. There is so much involved in this performing art. The dancer has to understand the music and give it a visual form. I am amazed at the way all the streams of art come together in natyam. My job as the vocalist is to support this process. I had an opportunity to teach at the Cannanore University in Kerala many years ago but my mother felt that I should become a performer and so I did not take that job. That was the only time in my life when I was tempted to leave this field. 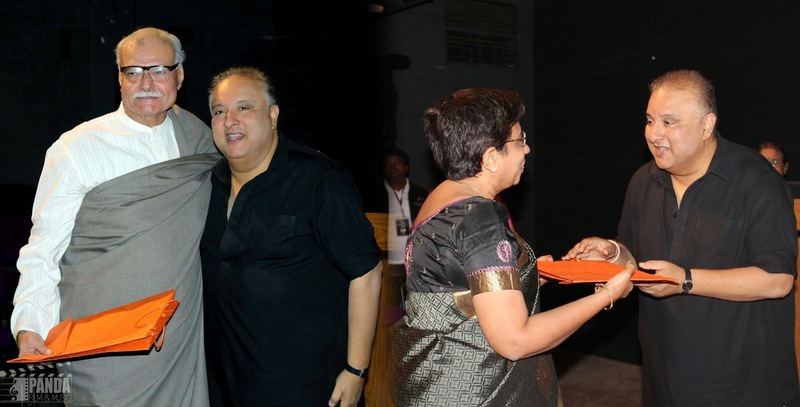 Two eminent writers on music, Deepak Raja and Lakshmi Devnath, were honoured on 17 January by the Music Forum, Mumbai. Both have been writing for the magazine for more than a decade. Deepak Raja received the Dr. Ashok Ranade Memorial Award 2014, for his "valued and distinguished contribution to the field of Indian classical music" as a noted sitar player, musicologist, and author of books on Hindustani music. Lakshmi Devnath has written books on art personalities and several articles on music. A pioneering effort by her has been a series of pictorial books on Carnatic musicians that aims to reach out to the next generation. The Music Forum Media Award 2014 was presented to her for the promotion of Indian culture through media. Sonorous voice. Charming stage presence. Effortless brigas. Perfect diction. Vignesh Ishwar has these and more and it is of no wonder that a national newspaper recently hailed him as an artist to be watched. Born and brought up in Mumbai, Vignesh started learning music at the age of three. He had his training with Palakkad Anantharama Bhagavatar for over 15 years and started learning from T.M. Krishna in 2008. 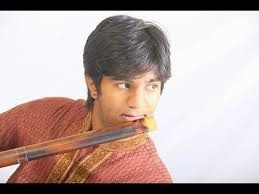 An undergraduate in Electrical Engineering and a graduate in Sound and Music Technology from the Music Group Universitat Pompeu Fabra, Barcelona, Vignesh is now based in Chennai to pursue Carnatic music full-time.He recently spoke to Sruti. How did you come under the tutelage of T.M. Krishna? I heard him for the first time at AFAC school in Mumbai at a kutcheri arranged by my guru then, Anantharama Bhagavatar, for our music school Nada Brahmam. I was awestruck by his music. Following that, I attended all his concerts in Mumbai without fail. My first close interaction with him was in 2006 at family friend Hariharan Sankaran’s residence in Mumbai. I decided that day that I wanted to learn from T.M. Krishna. Thus, every time he was in Mumbai after that, I requested him to take me under his tutelage. It was a dream come true, when in August 2008, he was in Mumbai to present a ‘Voices Within’ workshop, and asked me to come for class on Vijayadasami that year! What art projects or events are you involved in, apart from performing? Apart from performing, I am involved with Svanubhava – a festival by students for students in which we try to expose children to the various Indian art forms and create interest in them. It has been an amazing experience for me and I am sure it will continue to be so. I was also a researcher at IIT Madras in the Computer Science department under the CompMusic project. This project aims at developing technologies for computational analysis of Art Music traditions. We are currently working on five music genres: Hindustani, Carnatic, Makkam Music of Turkey, Arab Andalusian music and Beijing Opera. The IIT Madras team’s primary focus is on Carnatic music. We are hoping to build technologies that enable exploration of music collections in a musically meaningful manner, using relevant properties from the music tradition thus making these technologies culture-specific. For example, one of the technologies we have developed is to automatically extract the tonic or adhara sruti from the audio signal of a Carnatic music or Hindustani music recording. We are working on and have made significant progress in the spotting of similar phrases that are repeated in a song, and this leads to many other applications. I was in Barcelona last year doing my Masters in this project. My thesis work was to extract the pitch of the voice from an audio music recording. My guru and I published a paper in one of the CompMusic project workshops on the various relationships between swara, gamaka, phraesology and relevance to raga identification. I am still involved with this project helping out in many ways. Tell us about your fondest memory of the classes with your current guru. Every class with Krishna Anna is a memorable learning experience for me. The one closest to my heart is my first class with him. I still remember waiting on Vijayadasami day with varied emotions such as anxiety, nervousness, happiness and excitement. He taught me Mahaganapatey palayasumam in raga Natanarayani and Veena pustaka dharini in raga Vegavahini. His unabated energy and enthusiasm for music are something I can only aspire to emulate! What is your most cherished concert experience? While every concert has taught me something different, the most memorable concert experience for me would be one at the Swathi Sangeetotsavam at Kuthiramalika, Trivandrum, in 2013. I was in awe of the grand ambience, the feeling it invoked within me and the rich history of the place. All I had to do was sing and everything else was taken care of on stage by the amazing team of artists – S.R. Mahadeva Sharma, K.V. Prasad, N. Guruprasad and Udupi Srikanth. The entire experience is still fresh and vivid in my memory. Which artist has had the biggest influence on your musical journey? Apart from my gurus, the artist I listen to the most is Semmangudi Srinivasa Iyer. The bhava in his music and the feeling that it evokes are so unique. Even a small sangati is entrenched in so much bhavam, it is hard for anyone to not soak in the essence and beauty of the raga. The sheer brilliance and ease with which he handles his music leave me spellbound every time I hear him. What is the most memorable concert that you have been to? There are so many that I have enjoyed, it is difficult to pick one. If I really had to name, one of them would be the concert of Pandit Ajoy Chakraborty at the IMG Janfest held at St. Xaviers College, Mumbai. He sang an astounding Pooriya that day. Another one that left a lasting impression on me would be the Kalarasana concert of my guru T.M. Krishna on 4 January 2011 with R.K. Shriramkumar, Trichy Sankaran, B.S. Purushotham and N. Guruprasad. The Sankarabharanam ragam-tanam-pallavi left me in tears; I was taken beyond the realm of this world. Another concert that left a mark was one by my other guru Palakkad Anantharama Bhagavatar at Borivili Ayyappa Samajam in Mumbai. I was providing vocal support that day. His rendition of Swararaga sudharasa in Sankarabharanam still gives me goose bumps when I think of it. What changes have you witnessed in the Carnatic music industry over the years? One of the biggest changes which I have personally witnessed is the gain in popularity of this genre of music not just in India, but overseas as well. The keenness with which Europeans follow Carnatic music was evident during my research work in Spain. I would attribute the growing awareness of our music to the increasing number of young musicians in the industry. There are many talented young musicians who have taken their pursuit in Carnatic music seriously and they are striving to create awareness and interest amongst everyone through their performances. It is very encouraging and heartening to see that more places and people are celebrating Carnatic music.